The Short Version: Backed by over a decade of experience, UK dating coach James Preece has the knowledge to guide men and women through every step of the dating process. Known as the dating guru, James works individually with singles on developing the confidence, tools, and strategies to get in a serious relationship. The dating expert shares down-to-earth and actionable tips in his best-selling books about how to online date, text a guy, start a conversation, and maintain a genuine connection. He has also written hundred of pithy blog articles for popular lifestyle outlets, including Glamour Magazine and the Huffington Post. 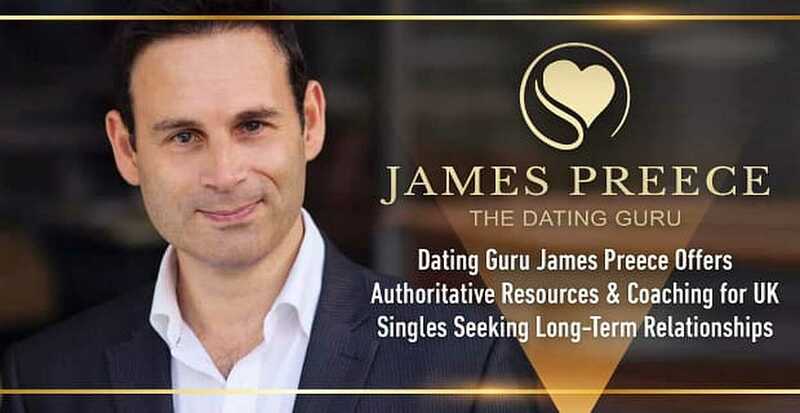 From hosting singles events to giving educational seminars, James Preece’s award-winning coaching business provides comprehensive support to thousands of singles wondering where to go and what to do to meet that special someone. Dating coach James Preece started his career as an actor who ran fun singles events on the side. Hundreds of Londoners turned out to his events, and James became skilled at socializing in the crowd. He was an experienced and successful dater — having gone on over 200 dates before meeting his wife — and so a lot of attendees asked him for advice on how to attract a partner and make a relationship last. He gave what pointers he could, but such weighty personal topics aren’t easy to address in five-minute conversations. James knew he needed to work more closely with daters to truly help them improve their love lives. In his work as an actor, dating coach James Preece developed a talent for connecting with people. About once a month, James steps in front of a big audience to give a dating-related seminar and inspire singles to build successful relationships. He enjoys the opportunity to share his dating tips with people around the world in books, blogs, and talks. Today, the dating guru and best-selling author has a Twitter following of over 16,200 people. James Preece is not a pickup artist or matchmaker — he’s a dating support system and friend to singles navigating the modern dating scene. James Preece wants to be there to support his clients in online and in-person dating. You can apply for his in-depth coaching packages on his website. He spends long hours Skyping with single men and women in the UK and abroad. Intended for serious singles, his coaching sessions focus on how to attract and maintain a long-term relationship, which can be complicated in the modern dating world. 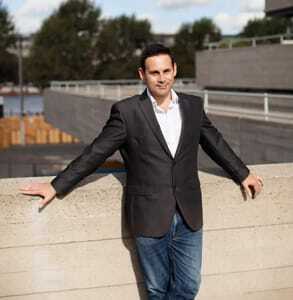 Dating guru James Preece is an influential voice and talented expert in the dating industry. By working one-on-one with singles, James creates a personalized dating strategy, answers any questions, and provides proactive solutions for how to meet the right person. He typically schedules 30-minute sessions every few weeks to keep his clients on track. James identifies what problems or obstacles are keeping his clients from getting to a second date and addresses those issues head-on. “I focus on the present because that’s how you can control the future,” he said. In addition to giving insightful advice, James also employs a team of actors who go with his clients on mock dates and provide realistic feedback. Whether he’s encouraging busy professionals to make time for dating or outlining fruitful topics of conversation on a first date (or in a first message), James makes sure his clients are well-equipped for success in today’s dating scene. On his website, James boasts that he has helped nearly 58,000 singles so far, and he’s only getting started. His new online course, called How to Find Love, will come out in October 2017 to offer singles an affordable do-it-yourself alternative to hands-on coaching. He wants the program to provide a clear plan for anyone hoping to get in a relationship sooner rather than later. Throughout his career, James has written eight books about dating and relationships. “In my books, I can cover more topics than I can in my blog,” he said. From online dating secrets to how to text men, his books offer a candid behind-the-scenes look at what matters most to singles. Keep your conversations from running dry with the dating guru’s sure-fire icebreakers. 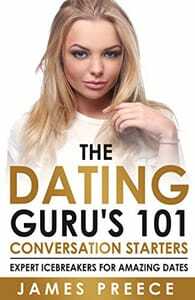 “The Dating Guru’s 101 Conversation Starters” is another fun read as well as a fantastic tool for shy daters who want to avoid awkward silences and break the ice without getting tongue-tied. Getting to know someone becomes much easier when you have this conversational cheat sheet to help you out. The dating guru’s suggested conversation topics work for singles as well as married couples. Published in 2014, “I Will Make You Click” provides a step-by-step guidebook for online daters unsure of which site to choose, how to set up a profile, what to say in their messages, and how to stay safe on dates. James plans to update this book soon to ensure it stays current in the ever-changing online dating space. The dating coach also frequently contributes to the Huffington Post and other popular outlets where his expertise can reach more readers. Whether he’s discussing texting etiquette or marriage goals, James offers kernels of wisdom for daters across the globe. As a dating coach and lifestyle writer, James has impacted the lives of tens of thousands of singles around the world. He has collected many glowing testimonials from the people he’s worked with over the years. Amy had tried online dating for four years before giving up on it, so she wasn’t eager to start again when James suggested it. However, he gave her supportive advice throughout the process, from setting up the profile to sending out messages, so it became easier, more enjoyable, and more successful. Stephen B. wanted to get his ex back after a falling out, but she wasn’t even talking to him. The heartbroken single went to James Preece for advice on how to move forward. In weekly phone conversations, they put together a plan to win Stephen’s ex back and rebuild the relationship. From giving Amy online dating assistance to boosting Andrew’s self-confidence, James tackles whatever personal issues stand in the way of his clients making a genuine and lasting connection. “Every success story validates what I do,” he said. What began as an actor’s hobby is now a full-blown career because of James’ passion for building relationships and being a wingman to love. After over a decade of giving tips to singles, the dating guru has established himself as an influential voice in the industry. Today, James coaches daters on how to seize the dating opportunities around them. He encourages his clients and readers to get out there and make positive changes in their lives to attract dates. By coaching individuals, writing actionable advice, and recommending reputable agencies in the UK, James gives singles a comprehensive support network in their efforts to reach their relationship goals.